Lots of people like taking a dog or taking a cat over the road with them although most pets taken are dogs. 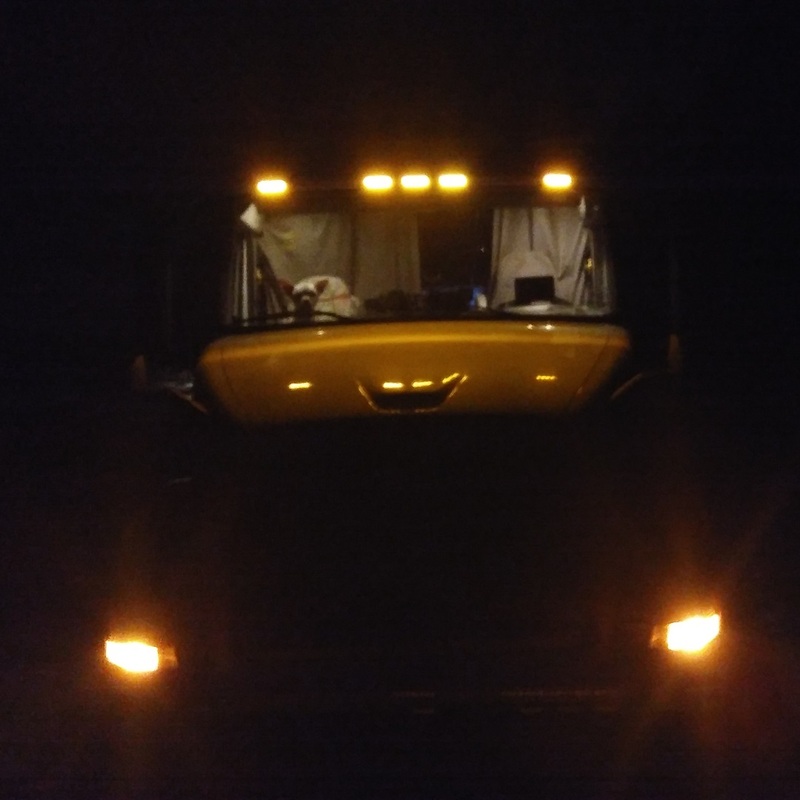 There're pro's and con's of taking a dog trucking...or any pet trucking for that matter, which we will discuss down the page. If you want to take a pet trucking make sure you go to a trucking company that allows you to take it. Ask them, "Do you have a pet policy?" To find out. The trucking company representatives will say they don't allow pets or they will tell you what they allow and what the policy regarding pets are. Excuse the typo in the video. You know I meant bathroom. Courtney is ready to go trucking! With out a doubt, taking a pet trucking (dog trucking in my case) is a lot of fun, if you love dogs or animals in general. They are lots of company and entertainment. There is a reason that animals are used to help with recovery, rehab and elderly care. Animals are therapeutic for most people who love them, if you allow them to be. However, don't forget, taking an animal comes at a cost too! I'm not the type to get lonely because there is always something to do, but for people who does get lonely, a pet will definitely help. Look at Courtney waiting for me to get back to the truck, lol. Courtney waits for me to come back to the truck. Ying and Yang, lol. If there are joys, of course there are also drawbacks also known as disadvantages of having a pet. An animal adds expense and time consumption to your trucking adventures. But if you ask me, it's worth it depending on your situation and goals. Believe it the dog or any other pet can become as close as a family member. Something I didn't expect until I actually owned Courtney as an adult. I didn't feel the same way about pets as a kid really. A pet can even teach you new tricks! OK lessons about life. If you pay attention. Animals age quicker. Courtney looks thin here. She's actually sick. Still great company but slowing down. She's about 13 years old. Been to the vet twice and will end up going once again to explore her conditions. Each visit has been $400 plus. I have had DOT in New Mexico check station give Courtney treats. Florida Ag officer wanted to pet her. Security officers and Shop officers wanted to play with her and pet her. I think I got expedited service in the shop once due to her. That's just situations I can think of right this minute so many times she gets more attention then me, lol. But it's been so interesting the people that I have met and had conversations about animals and such because of her. If you are at a company that states pets are NOT allowed in the truck. There is not room for interpretation. You are breaking their policy. You will likely get fined and you could be fired. In both cases, you might get a bill if there is any damage to the truck. That includes smells, scratches, chewed interior, etc. Cats can really do a lot of cosmetic damage to a truck. Many trucking companies allow pets in the truck. All you have to do is ask. 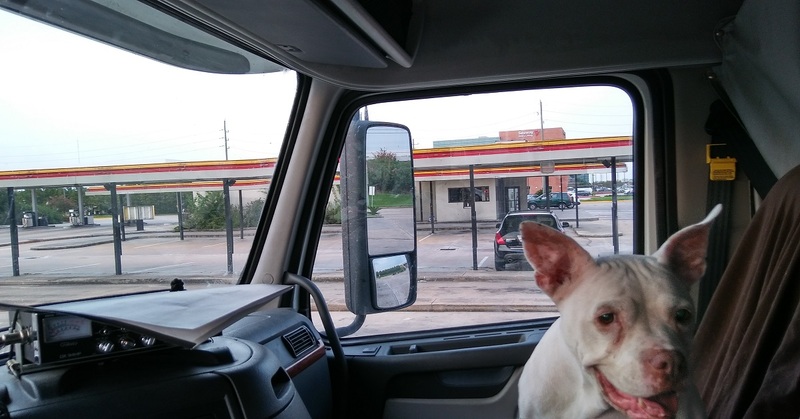 What would you like to share about having a pet with you in the truck over the road? About how much does it cost to have a dog ride along with you? My husband is a truck driver and is thinking about getting a dog... I would just like more info about it first.